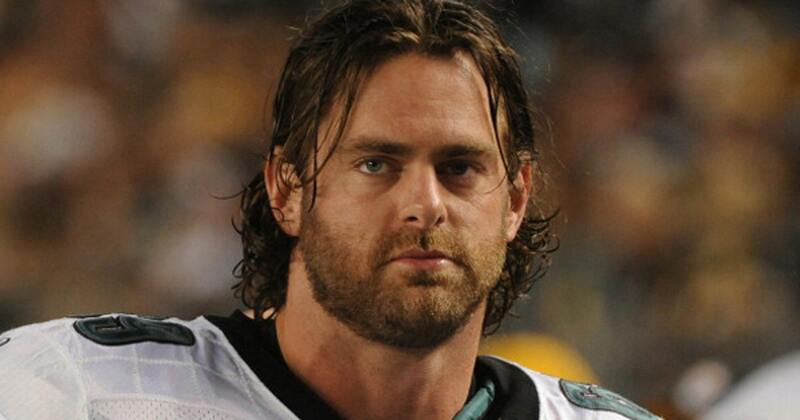 After retiring from the NFL a little more than a year ago, Evan Mathis decided to move closer to where he grew up in Alabama. And to get the kind of house he and his wife wanted, Mathis needed to free up some money. And that meant the avid sports card collector would have to part with his prized possession: a 1952 Mickey Mantle baseball card. Issued as part of its first set of baseball cards by Topps, the Mantle card is the marquee piece of a card-only spring collection by Heritage Auctions. It is one of six versions of the card to have been rated a Mint 9 by PSA, one of the leading sports memorabilia authenticators, with three others having earned a Mint 10 rating. The card has been estimated by Heritage to be valued at $3.5 million. For comparison, the highest price paid for a card at auction was $3.12 million two years ago for a 1909 Honus Wagner card. Ivy attributes the high value of the card Mathis is selling due to its centering, strong corners and print quality — a rare combination, considering “quality control wasn’t the top issue” for Topps in the 1950s. “The fact that this one came out of the factory in strong condition, survived for many decades in that same condition, didn’t get put in spokes or thrown away by mom is pretty miraculous,” Ivy added. Bidding for items in the collection, which also includes cards from the 19th century, ends April 20. Mathis was a third-round pick by Carolina in the 2005 NFL draft. He retired in January 2017 after 12 seasons as an offensive guard with the Panthers, Miami, Cincinnati, Philadelphia, Denver and Arizona. He was on the Broncos team that won Super Bowl 50. He got into card collecting as a kid growing up a fan of Bo Jackson in Birmingham, Alabama, in the late 1980s. Jackson, who had attended high school in nearby McCalla before starring in football and baseball at Auburn, was a two-sport professional for the NFL’s Los Angeles Raiders and baseball’s Kansas City Royals. Mathis, about 6 years old then, started going to the store to buy packs of cards to get as many of Jackson as he could. By his recollection, Mathis got away from the hobby around the time he was in middle school before picking it up again years later when his own NFL career was progressing and he could afford some of the cards he couldn’t earlier. He was drawn to the 1952 Mantle card and bought several versions of the card inferior to the one he currently owns, and his best was a Mint 8 until about two years ago. That’s when a collector friend sent him a photo of his Mint 9 to show it off, and Mathis knew he had to have it. Mathis said he traded the “vast majority” of his collection and agreed to a payment plan for rest of the value to get the card. Now, he’s moving with his wife, Katelynn, and their two daughters from Arizona to Tennessee to be close to family, and needed to free up some money. Looking to expand the pool of potential buyers, Mathis is willing to accept cryptocurrency such as bitcoin as payment. While Mathis is selling the card he owns now, he hasn’t given up on the thought of acquiring one of the Mint 10 versions one day.